We will show you the shortest route to our sites. You will find an overview of Häfele trade fair appearances and events below. We are looking forward to your visit! Be a part of the Häfele network and follow our online activities in the social networks. Registered suppliers can simplify the organisation of their delivery here. 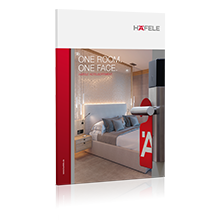 You will find an overview of all Häfele catalogues and brochures here. Do you require support? We are pleased to help. The Häfele newsletter informs you about the latest news at Häfele and Häfele products.